Growing up Travis Uriah Long yearned for order and discipline in his life�the two things his neglectful mother couldn�t or wouldn�t provide. So when Travis enlisted in the Royal Manticoran Navy, he thought he�d finally found the structure he�d always wanted so desperately. But life in the RMN isn�t exactly what he expected. 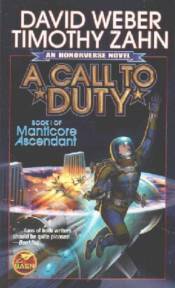 Boot camp is rough and frustrating; his first ship assignment lax and disorderly; and with the Star Kingdom of Manticore still recovering from a devastating plague, the Navy is on the edge of budgetary extinction.